Here's another shot from the 2009 Paula Creamer calendar produced by Golf Digest Japan. Unfortunately, the calendar is only available for order in Japan, but some copies may show up eventually on eBay. Morgan Pressel from the 2008 ADT photo shoot. Yet more proof that Paula Creamer is well worth following on Twitter. In the second-to-last tournament of the 2008 LPGA season, Angela Stanford won her second title of the year. Stanford held off Annika Sorenstam and others to win the inaugural Lorena Ochoa Invitational in Mexico. Stanford won in mid-September at the Bell Micro Classic. And that means over her five most recent tournaments, she finished first, third, second, fourth and first. That's good stuff. Rachel Lubahn is one of the contestants on "Big Break X: Michigan," competing with her husband Casey. The two married in 2007 after meeting while playing golf at Michigan State University. Rachel won the 2007 Big Ten women's championship. We ran a photo of Danielle Montgomery last week - the one in which she's submerged in a bathtub full of golf balls - but didn't tell you anything about her. So we'll correct that oversight today. This is Danielle's photo from the 2009 Australian Women of Professional Golf Calendar, which benefits the Make-A-Wish Foundation. Danielle's amateur career got started in Australia, but she was born in England and has dual citizenship. 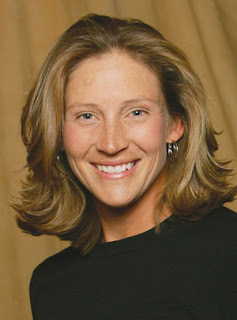 That's why she was able to compete as a member of the England Women's Golf Association national teams in 2006 and 2007. She turned pro in 2007 and played on the ALPG circuit, with two Top 10 finishes. Danielle also plays on the Ladies Asian Golf Tour, where she finished second earlier this year at the Binhai Open in China. Danielle is currently going through the long Q-School process of the LPGA of Japan, attempting to qualify for that tour's 2009 schedule. Her sister, Nicole, also plays on the ALPG and LAGT circuits. 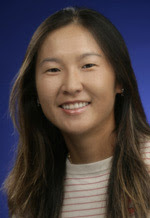 Let's hear it for the lovely and talented Candie Kung, who won the LPGA Hana Bank Kolon Championship in Korea on Sunday. It's the fourth LPGA victory for Kung, but her first since 2003. Originally from Taiwan, Kung was the 1999 AJGA Player of the Year, she was a two-time All-American at Southern Cal, and she won the U.S. Women's Amateur Public Links championship twice. And Candie's LPGA career started fast; she posted five Top 10s in her rookie year of 2002, then won three times in 2003. She finished 17th on the money list in 2004 and 11th in 2005, but then kind of stalled out. In 2007, injuries limited her to just 15 starts and she fell to 78th on the money list. But 2008 has been a comeback year for Candie. She had five Top 10s before heading to Korea, and now she has another victory. Here's a shot of Ladies European Tour golf Stefanie Michl from the 2009 World Ladies Golf Calendar published by Golf Digest Japan. The calendar has been published in 1975, but available only in Japan. 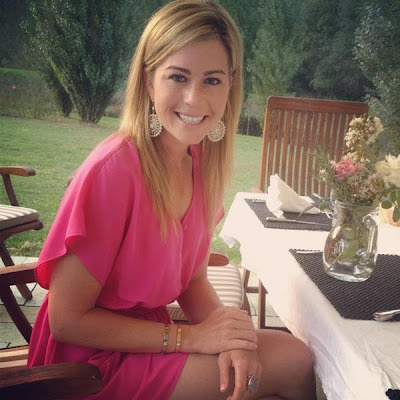 Stefanie is an Austrian golfer who earned her spot on the LET with a fourth-place finish at Q-School last year. Her best finish on tour this year is a 23rd, but she's posted Top 10 finishes in previous years and has performed well on the SAS Masters Tour (formerly known at the Telia Tour), too.